Leila Galloway and Sophie Hope would like to say a special thanks go to all the residents who have contributed to the sayingno CD which has now been delivered to all homes on Crossfields Estate – your voices are truly inspirational! "We hope you enjoy listening to this unique snapshot of a time and place and are as moved as we were when we were editing the voices together. We really think this is a vital and exciting document that brings the individual voices of a community together in an intimate and celebratory way. Thank you for sharing your stories of freedom, celebration, rebellion and sayingno with us and your neighbours." Contributors to the CD include Adam, Alpha, Anana Krish + Suzie Rendell, Andy Forshaw + Ade, Anna + Ruth Hudson, Anton, Ben, Bunmi, Charles Hayward, Chi Nwobani, Chika + Grace, Chris Morgan, Claire Evans, Clement + Mecalla, Debbie Hughes, Dee, Duncan Grech, Eddie Reid, Elaine, Elise, Farhia, Fiona, Guillaume Crato, Heather, Heather M., Hedley Shaw, Ingvilid Isakden, James, Talbu + Richy, Jan, Javier, John Rhodes, Kieth Nicholson, Lucy, Maeve, Anne-Claire, Sylvia + Stella, Mark, Mark, Mei Ying, Mervion Kirwood, Michelle Hopwood, Miss Kante + Jaunet Remy, Murphy Adewale, Naomi, Nick Statham, Pat, Paulie, Piotr Ruszel, Rachel + Ken, Rafael, Raoul Amantchi, Ray, Riita, Rory Laird, Shaun Barweti, Shaz, Steve, Stuart, Sue Powell, Suresh, Sylvia van Mierlo, Syvia Ferreria, Rachel Eliott + Gemma Convelly, Tayo, Terry, Terry Edward, Tim Wilson + Mike, Tim’s friend, Tom, Tracy, William Ottie, Winston, Yazmine and all those who wished to remain anonymous. Thanks also to the Tenants and Residents Association (Hugh Johnson in particular), Sue Lawes, Nicholas Alexander, Jake Strickland, Olivia Hornby, Treasa O’Brian, Simone and the staff of Deptford X. 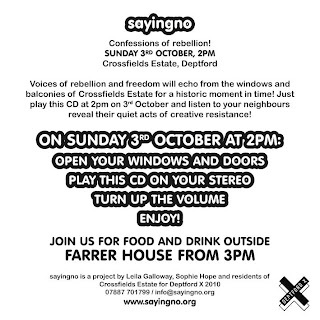 Hear Crossfields Estate's 'confessions of freedom and rebellion' on the saying no website here. Lewisham mayor, Steve Bullock, has written to Councillor Paul Maslin with his response to proposal to change Tidemill into an academy. Here is the text of his letter as forwarded on 23 September 2010 and published here www.academies.sayingno.org. The performance of this school in recent years has been outstanding and the leadership given by Mark Elms has been of the highest order. Lewisham Council has worked closely with the school to support it in achieving and consolidating that improvement. The school has played an important role in its community and the way it has attempted to work not only with students but their parents too has been deeply impressive. In part because of the schools success in working with the community it has been an integral part of plans to radically improve public provision in that part of the borough. A new development is taking place which will include within it a new public library and community space that will be shared by the school and the community. If the legal status of the school is changed and the ownership of that shared space brought into question this project may be at risk. The Council will need to take legal advice on the implications of the school becoming an academy for such an large project involving public funding. A number of academy schools already exist in Lewisham and they have played a critical role in enabling some under performing secondary schools to achieve significant improvement. We work closely with these schools which are very clearly part of the Education Family in Lewisham where co-operation and mutual support have enabled us to improve faster than the majority of London boroughs. At first sight I do not see any similar advantages arising from individual primary schools which are already successful opting for academy status. The overriding objective that we have pursued relentlessly for the past 8 years has been to improve the life chances of our young people and no approach has been ruled and no partners excluded from our thinking as we strive to achieve that. My approach to this remains pragmatic and if further academies will help move us forward I would be prepared to support them. The onus must be on any school seeking academy status to demonstrate that they will be helping move that whole project forward not seeking advantage for an individual school at the expense of others. That sentence - ''At first sight I do not see any similar advantages arising from individual primary schools which are already successful opting for academy status.'' fully echoes my own marmosettian view. More importantly, it may be reassuring for parents uncertain about what the future holds for Tidemill. 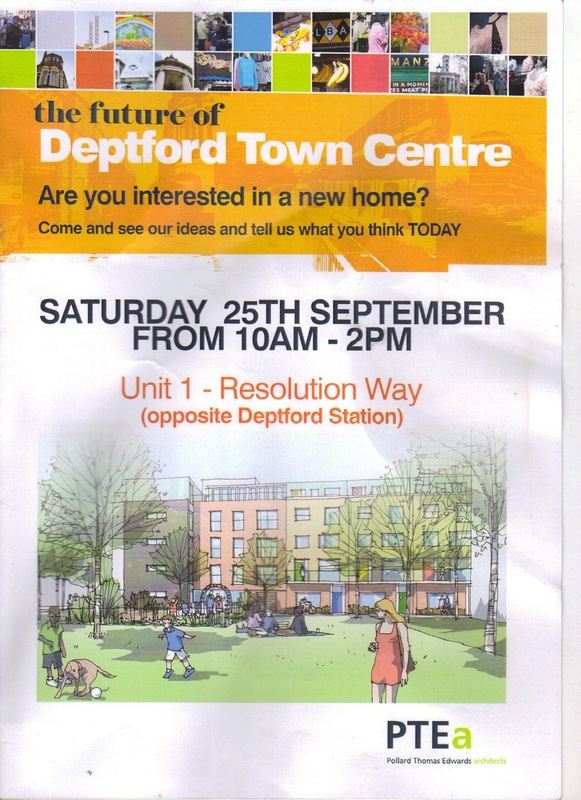 Thanks to Deptford Dame for digging up an almost secret consultation process about the Future of Deptford Town Centre this weekend. How comes nobody seemed to know about the upcoming consultation on the proposed developments for Douglas Way? Who has been told about the meetings in the Albany Theatre tomorrow (Wednesday, 29 September, 4 - 7pm) and on Saturday (2 October, 10am - 12 noon)? Perplexed, this turned out to mean that not only was there an Albany-based consultation that nobody seemed to know about but that there had also been another Unit 1 consultation that nobody seemed to have known about as well. How did that work out? This particular consultation was specifically targeting the tenants who would need rehousing if the architects' plans got the go ahead. I can't remember the exact order, but there would be a chain of rehousing which works out something like this; build new flats on the Tidemill nature garden site, rehouse the residents of the block on the north side of Reginald Road, demolish this block and rebuild on that site, move residents in one block on Giffen Street into there, demolish that block and rebuild, and so on. Until just about everybody has moved one block along. The residents of Frankham House, which is on the same block of land, were not consulted on this. It appears that the progressive rebuilding and rehousing of a local community does not concern them because they're not part of the rehousing chain. These old Crossfields flats were built to last it seems. So, regardless of the rights and wrongs about very targeted consultations that leave neighbours wondering about what's going on in the blocks next door, this fragmented approach to letting us have our say is how they're working. 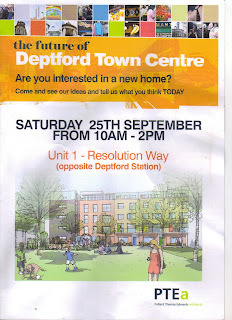 More concerning, however, was that, while the man I spoke to, Gavin, was exceptionally helpful and communicative, he didn't actually know anything about the Albany consultation that Deptford Dame flagged up on Sunday. I actually had to get him to type lewisham.gov.uk/deptfordtowncentre and steer him away from vainly looking at Lewisham's list of active consultations (where I've yet to track it down - while the link claims ''This site lists all consultation events being run by the Council'' there clearly is no trace of any of these consultations) before he knew what I was talking about. So, absurd as it seems, I've walked in off the street, asked about a consultation, and I'm actually telling him how to get to where a different wing of his own department is carrying out its consultations. How are we supposed to find out what is going on when the Regeneration office doesn't know what its other hand if doing? It seemed pointless to ask what kind of publicity, leafleting, etc is being carried out because Gavin would have had no way of answering. It strikes me that there's something dysfunctional about all this. Modern information technology allows people work in isolation - because information is easily circulated. But this can only be effective if the information genuinely gets circulated. Otherwise the whole thing becomes fragmented and uncoordinated, both within the council's offices and between the public and the council. EDIT: I would like to re-emphasise that in no way do I want to criticise the person I spoke to. Gavin's helpfulness was exemplary. 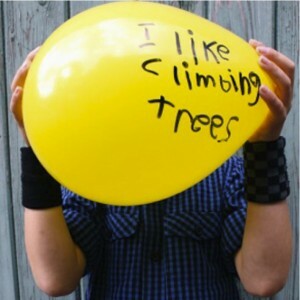 It's not the person, it's the structure that I'm unhappy with. The simple fact that these consultations are not listed on the council's consultation page demonstrates that the system isn't functioning properly. I'm only posting these up from sheer bloody mindedness. I'm walking through a tourist spot in Greenwich and security people tell me to stop taking photos. And whenever that happens I have no choice but to take more photos and post them up somewhere. So, here's the barricade they've put up overnight. And here's the mildly-interesting photo they didn't want me to take. As this photo was not authorised - sight apparently has been privatised - logically this must be a pirated image. It would be interesting to compare their relative budgets. I was asked a couple of days ago whether I knew what the animal stables were doing in the Royal Naval College. No idea but I wandered over there this afternoon to have a look. There's an enormous amount of activity going on over there. There are around 60 horses being stabled in there at the moment. Walking further on, I came across some rather impressive props - this clearly was no low budget production. For example, that wall in the photo below wasn't there last time I visited. And the bunting didn't ring any bells either. The security man I spoke to didn't want to say what film they were filming. ''Not allowed to say.'' ''Well, Blackbeard Productions is a bit of a giveaway, isn't it?'' I replied. It turns out that tomorrow (Mon 27 September) there will be around 600 extras and 60 horses with carriages milling around the place. And just 8 days after Talk Like a Pirate Day, there will also be a lot of people celebrating Act Like a Pirate Day. And it looks like you might be in for an unpleasant ride if you fail to get into the spirit of the occasion. Now in its 3rd year, London’s music half-marathon, ‘Run to the Beat’, takes place tomorrow with 15,000 runners taking to the streets of Greenwich. The event mixes sport and music, with music stages located along the course for the enjoyment of runners and spectators. Trafalgar Road (and other roads along the route) will be closed till 3.30pm (or earlier) and bus services will be affected. 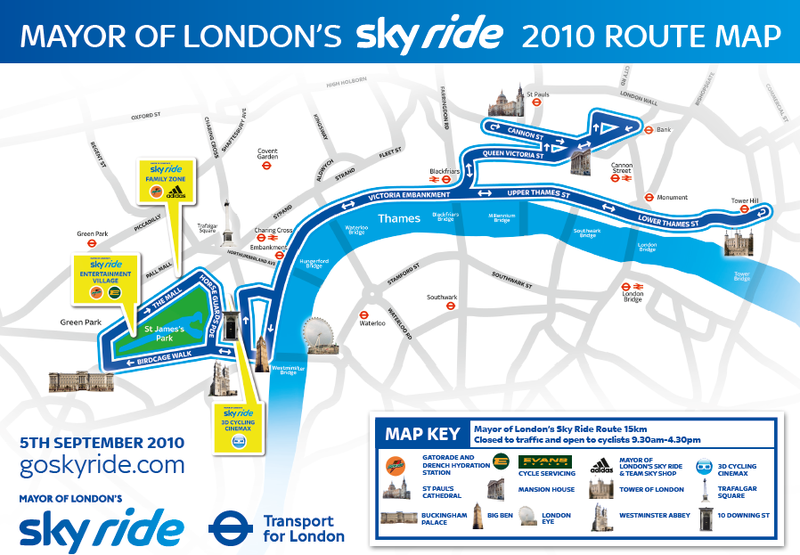 Check here for the route and more details on the music stages, or call 020 8233 5900. At the opening of Deptford X yesterday evening at The Albany, the winners of the Deptford X Award and Fringe Awards were announced. 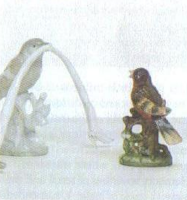 The winner of the Deptford X Award was Liz Harrison with her piece Why Birds Sing Up, which is sited at Deptford Train Station. 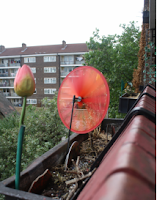 The piece is a sound installation of bird recordings, promoting an awareness of how songbirds are adapting to their urban existence, inspired by recent scientific research into the rising pitch of birdsong and its fight to combat the noises of the city. The winner of the Deptford X Fringe was One Week by Hanna Clark and Kit Merrit based at Unit 17 Resolution Way. Deptford X Fringe runners up were Annabel Tilley's Drawing the Likeness of Brick at the Old Police Station and Shelly Theodore's Cafe 187, which can be found on 182 Deptford High Street. More details at the Deptford X website. Kicking things off at 6pm - 9pm, Childers Street Studios and The Old Police Station (Amersham Vale) will be open, and from 6:30pm to 8:30pm, Core Gallery will also open. Art Hub Gallery on Creekside is open till 9pm with drinks and nibbles. Arch Gallery in Resolution Way and Bear Space also have private views this evening, and there is performance and film at Lewisham Arthouse. The 'After Party' goes on at the Old Police Station till 1am. After that, the bulk of Deptford X's Open Studios will take place over the next two weekends with enough events happening throughout the week to keep even the most restless spirits satisfied. 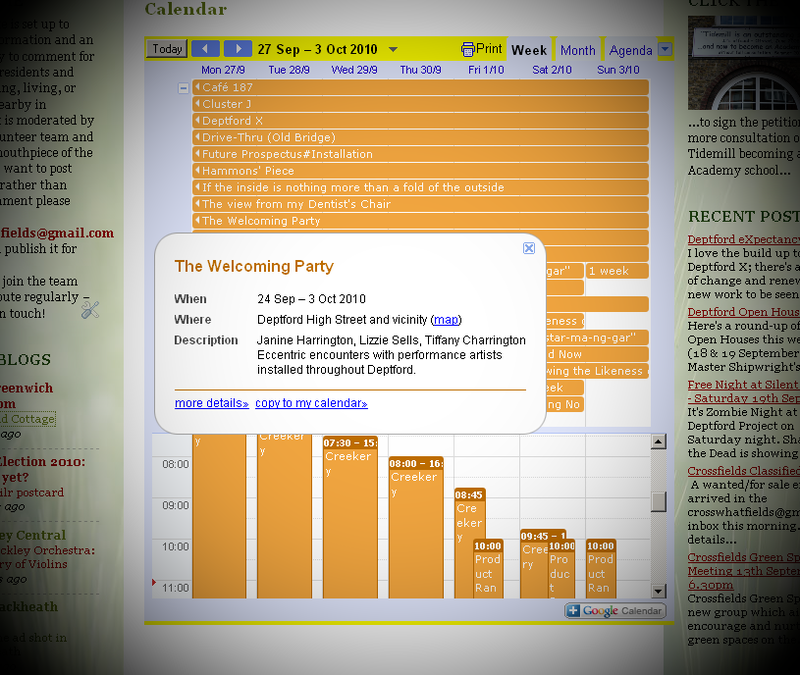 The Deptford X website lists yet more events - more than there's room for on the calendar. Look out for the DX rickshaws over the next 2 weekends, and keep your eyes out for Mark Titchner's refuse trucks doing their local tours of duty. 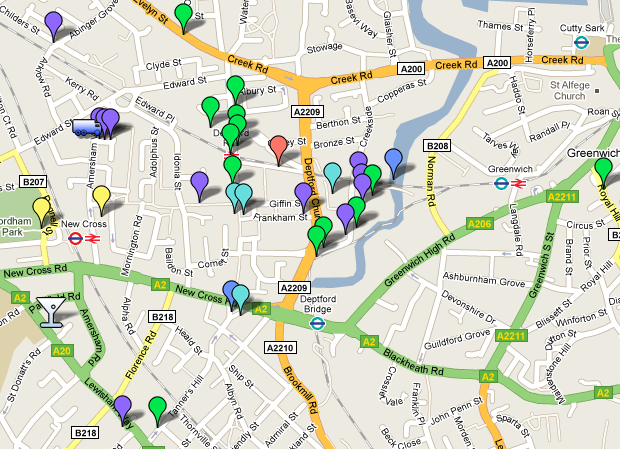 Oh, and here's the link to the online map above. 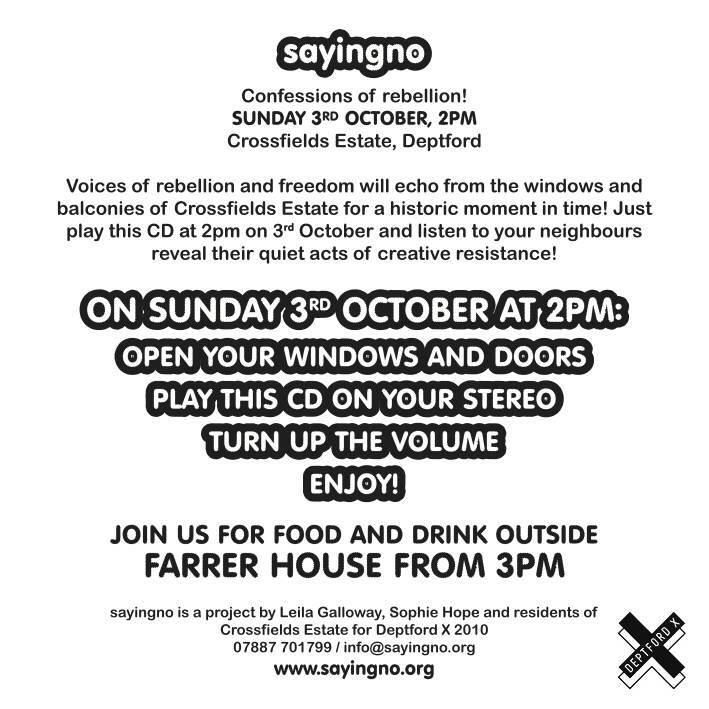 I can't promise to have a comprehensive list - and if you know of any missing names please drop us an email and we'll update it - but I thought it might be worth posting up the names and works of Crossfields residents who are participating in Deptford X. Working through the little catalogue that should have been delivered through your letterbox, on page 11, Leila Galloway is collaborating with Sophie Hope and the residents of Xfields with their '''Saying No'' project and will be at large on the estate on Saturday 2 October (according to the catalogue*) in a collective celebration of our acts of resistance, refusal and rebellion. On page 16 we come to Creekery, a piece by Sue Lawes. (There's a low-tide preview on yesterday's post). Sue has been assisted by another resident Emma Redstone. Check the calendar for viewing times on Ha'penny Hatch - it's there all the time but it's only visible at low tide. And if we get a lot of rain and the river goes into spate, it may end up a good way further downstream. There's an almost bewildering amount of stuff to be seen over the next couple of weeks. I've done my best to add the events to the Calendar (illustration above, plucked at random). But I found myself running out of space to list every event there. 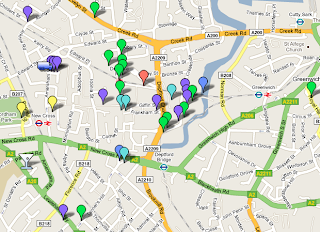 So avid art-watchers will do best to use the Deptford Art Map online calendar in conjunction with our own for details about the Galleries part of Deptford X. Happy Hunting! I love the build up to Deptford X; there's a feeling of change and renewal, of new work to be seen or glimpsed while still being born. I can't decide whether it's more like spring or more like the autumnal harvest festival. Sue Lawes' willow ware world has disappeared from the front of the Creekside Centre only to re-emerge from the Creek at low tide. And even the Faircharm Estate is getting a timely makeover - why else would they have chosen now to repaint it? The autumn equinox? And as a minor contribution to the general air of work in progress, many of the exhibitions have been added to the blog's calendar page, with the rest to be completed as DeptfordX draws nearer. 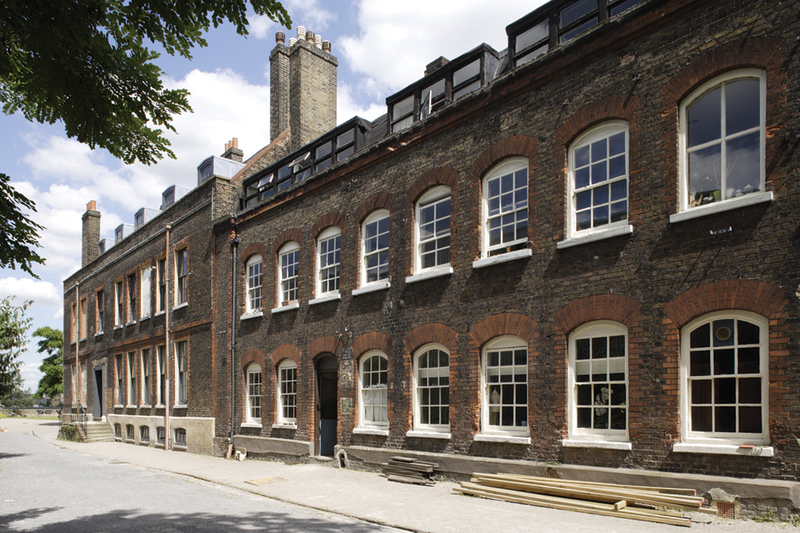 Here's a round-up of the SE8 Open Houses this weekend (18 & 19 September). Watergate Street, SE8 3LF. This house will be open on Saturday 1pm to 5pm and on Sunday from 10am to 1pm. Last entry is 15 minutes before closing times. This house really is a bit of a secret with its own frontage onto the Thames. 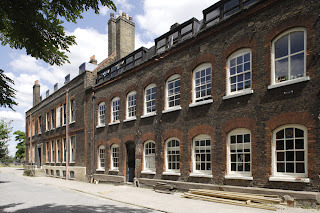 The oldest upstanding buildings of London's forgotten Royal Naval Dockyard. Home and office of the master shipwright since 1513. Mostly early 18C. One of London's secrets of the river. Access to some rooms and garden – and to the garden house (2010) designed by Robert Bagley and Roo Angel and constructed from surplus timber refuse. 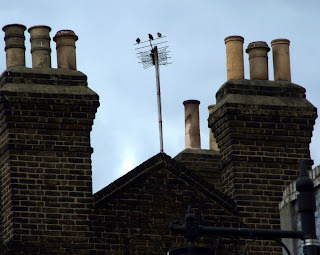 39 Brookmill Road, SE8 4HU. The centre will be open on Saturday only from 11am to 4pm, with 90 minute tours starting at 11am, 1pm and 3pm. Nice to see this building open to the public - the Centre has seemed a little remote. 164 - 166 Deptford High Street, SE8 3DS. 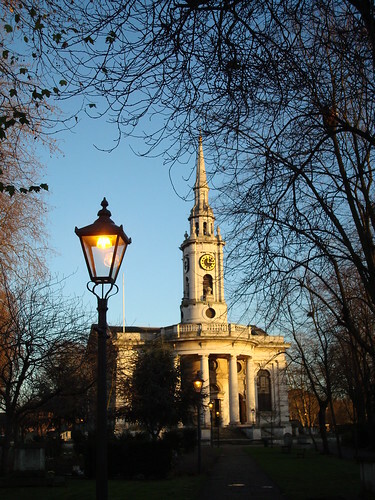 The church is open on Saturday 1pm to 5pm and on Sunday from 1pm to 4:30pm. Last entry 15 minutes before closing time. I hope the crypt is open. 4 Friendly Street, SE8 4DT. Studio open on Saturday, 10am to 5pm and Sunday, 1pm to 5pm. A small purpose-built artist's studio situated in a residential garden, incorporating a high proportion of renewable/recycled materials, finely detailed, modelled and designed to balance the spread of reflected natural light throughout the interior. Sustainable features include water capture. It's Zombie Night at the Deptford Project on Saturday night. Shaun of the Dead is showing at Silent Cinema and it's FREE to anyone who books now...Fancy dress is encouraged, but if that's not your thing, there'll be a face painter on hand to give you the requisite ghoulish look and everyone attending may be photographed in a group zombie portrait...Join in the fun by emailing: rebecca@studioraw.co.uk. 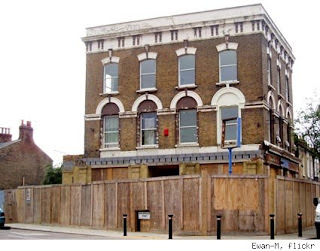 Did you know that the pub featured in the film was actually The Duke of Albany in New Cross, which was turned into flats soon after the film was made? A wanted/for sale email arrived in the crosswhatfields@gmail.com inbox this morning. The details are below but I wanted to remind readers that if they have services to offer or can recommend reliable tradespeople please drop us a line and we'll put the notice up on the Classifieds page. NUMBER OF A GOOD CHIMNEY SWEEP. Crossfields Green Spaces is a new group which aims to encourage and nurture the green spaces on the estate. Anyone interesting in growing and planting is invited to attend the group's inaugural meeting THIS Monday 13th September at The Pink Palace Clubroom, 50 Frankham House at 6.30pm. If you want to get (and look after) an allotment this is your chance to register your interest. STOP PRESS! Running order adjusted...Kick off still at 2pm...don't be late! From Wilshaw House, the Hayward daughters duet their self penned songs. 4.30pm Tug'o'War – choose your side and PULL! Directly from Crossfields – "rhythm & blues with a feelgood edge"
A public meeting was held at The Albany on Monday 6th to debate the future of Tidemill School. It was attended by around 70 people, many opposed to the move to Academy status. 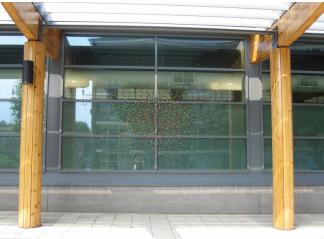 Yesterday, Tidemill parents were invited to the school to hear of the proposals outlined by head teacher Mark Elms. A headteacher who was criticised for being paid more than £240,000 last year has defended controversial plans to convert his primary school to academy status. When parents discovered in July that Mark Elms' pay package had reached almost £250,000, many defended him for transforming the fortunes of a school which has been rated "outstanding" under his leadership. But since then, some parents have launched a campaign against proposals to turn Tidemill primary into an academy – which would be free from local authority control and able to set its own pay rates. Concern has been fuelled by what one campaigner claimed was a "lack of transparency" over Elms' pay. He is thought to be the most well paid headteacher in Britain. Elms said today that converting to an academy would enable the school to be more flexible in helping children who spoke English as a second language. Speaking for the first time since the pay controversy, he said it would also free the school to set salaries at a level that would attract the best teachers. "There are obviously lots of freedoms; there's the freedom to design your own curriculum. We have very unique characteristics, 65% [are non-native English speakers], 45% free school meals… lots of refugees." "We need to make sure the curriculum is designed to match their needs, to reflect their background and experience." 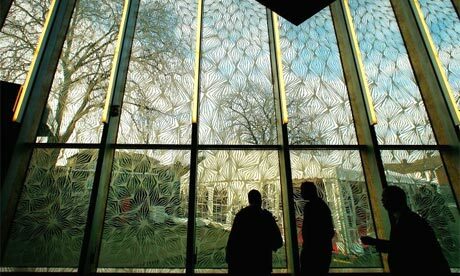 Tidemill, in Lewisham, south-east London, has a high proportion of children who do not speak English at home. The school itself estimates that 30 languages are spoken there, including Somali, Farsi, French and Yoruba. Elms declined to comment on his pay, but said: "Finances are very important. You can do an awful lot in terms of recruiting highly qualified, suitable staff." Elms earned a basic salary of just over £82,700 in the last financial year. He also received payments totalling £102,955 for work he did over two years as part of Labour's City Challenge programme, which aims to use proven success stories to help underachieving schools. His pay package reached nearly £250,000 with the inclusion of £10,000 for out-of-hours work, arrears of £9,317 for 2008-09, an employer's pension contribution of £16,700 and an "appointment and retention" payment of £26,413. One of the parents campaigning against the proposals, Leila Galloway, said she was seeking greater transparency over the head's pay. She has asked for minutes of financial discussions at governors' meetings. Galloway, who has two daughters at the school, said she was concerned that the expansion of academies under the coalition government would create a two-tier education system. "I believe in comprehensive education. Labour kickstarted [academies] but they've turned into a totally different beast. It drains funding from all the other schools. Personally, I think it will devastate the country. It's a huge social experiment," she said. Galloway said she had organised a petition and a public meeting to campaign against the proposals. Elms insisted that a broad consultation was taking place. He said the school had asked in its annual questionnaire whether parents would like more information, and 70% had said yes.The school is also carrying out a telephone survey of 8-10% of parents and held a public meeting yesterday to explain the plans. "It's a very complicated, very controversal new policy, and we're not wanting to rush into it," he said. A total of 32 schools opened as academies this month out of 2,000 that had expressed interest since May. Over 140 schools are expected to convert to academy status in the coming school year after the government passed a new law to allow every school in England to opt out of local authority control. Schools like Tidemill that are rated "outstanding" by Ofsted were pre-approved, meaning that those who applied immediately are the most likely to open as academies first. The speed at which the legislation moved through parliament led to accusations that ministers rushed the reforms using a timetable usually reserved for emergency laws, such as anti-terror powers. STOP PRESS! 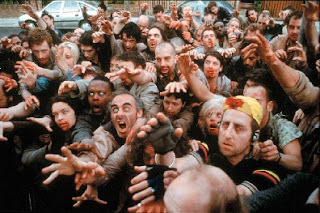 FREE Community Night for local people on Saturday 18th September: Shaun of the Dead. To book please email: rebecca@studioraw.co.uk. It's a bit pricey, but it's unique...The Silent Cinema opens tonight next to the train carriage at 7pm (film starts 8pm). The unique bit is the earphones to hear the film, plus it's outdoors on specially made seating. On Sunday, 5 September, these London streets will be closed to motorised traffic and opened up for cyclists. Cyclists of all abilities are welcome to join up with Greenwich and Lewisham Cyclists at Cutty Sark Gardens by 10:30am, from where a large crocodile of riders (300 last year) accompanied by marshals will gently make its way up to Tower Bridge, after which you can enjoy a traffic-free Embankment and St James' Park. 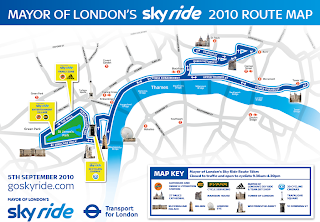 There will be 2 guided return rides - one returning by road at 3pm and another returning at 4pm along the Thames path.